Canada Wins Gold in Canada!!!! As you may know, last night, Alexandre Bilodeau representing Canada in Men's Olympic Moguls has won gold on home soil! But that is not the coolest part... look at the medal above and you would think it is just a normal gold medal right? WRONG!!!! This gold medal is not only the first 3D Olympic medal, not only the heaviest medal ever, but it was made from old computer parts! This was one of the initiatives to make this the green-est games EVER. Part of this medal might include that old computer in your basement that you threw away or maybe an old gaming system. All of that stuff is called e-waste when it is thrown out and its circuit boards and other parts contain minuet traces of gold! The gold filled circuit boards are sent to the most hi-tech e-waste facility in the world!! 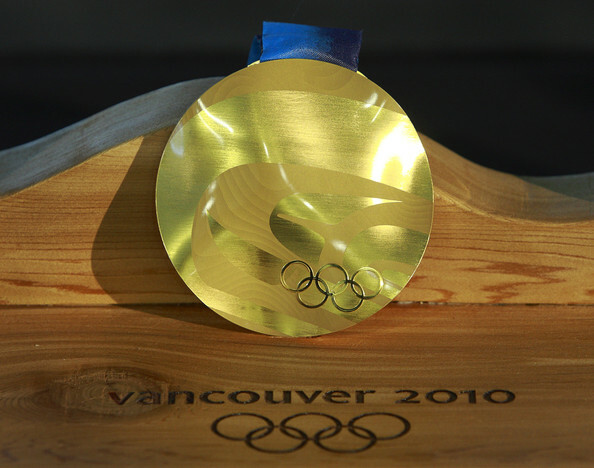 After the gold is extracted, the gold is sent to the Royal Canadian Mint and the use the gold pellets that came from your computer and make it the pride of a country, the ULTIMATE prize of Olympic Champion and winning the allusive gold medal! Here are some interesting medal numbers!! !